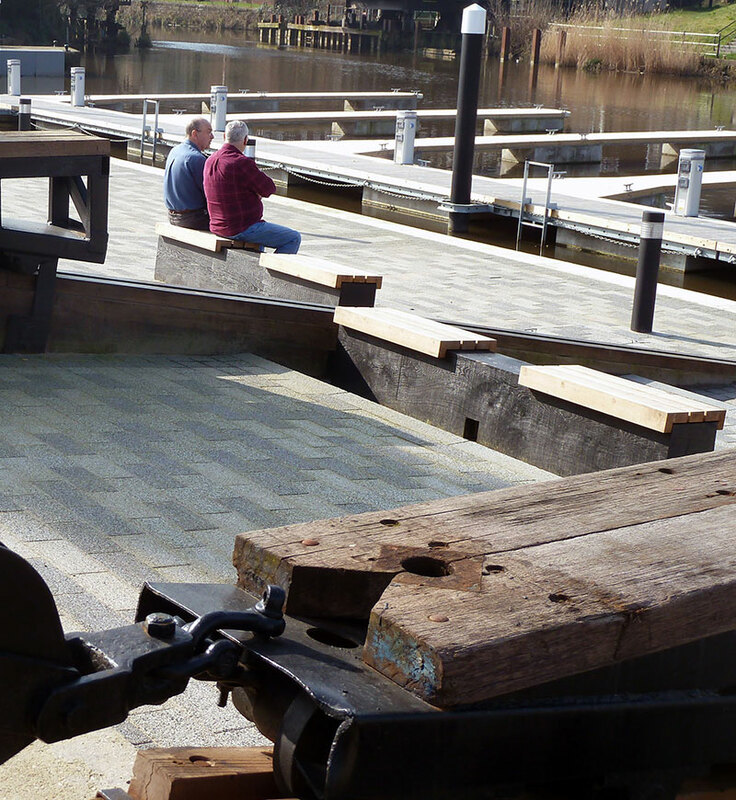 We produced a range of furniture for the new development of a narrow boat marina in Northwich Cheshire. We produced a series of bespoke Oak seats, which were placed onto stone gabions. We also designed and built six large charred and natural Oak benches to fit in with the historical loading trams of the salt industry.